Os estagiários de nível médio do polo Baixo Amazonas participaram de capacitação em Santarém, como parte das ações do projeto da Procuradoria Geral de Justiça – Estágio Cidadão, que contempla a oportunidade de estágio aos alunos de ensino médio no âmbito das Promotorias de Justiça do Estado. A ação ocorreu na segunda-feira, 29, no Theatro Vitória. A capacitação foi ministrada pelas promotoras de Justiça Mônica Freire – coordenadora do CAO da Infância e Juventude, e Brenda Ayan, acompanhadas do pedagogo Luís Pina, que compõe o Grupo de Apoio Técnico Interdisciplinar – GATI e o Tenente Coronel Galdino, da Assessoria Militar. Mônica Freire ressaltou aos participantes que o projeto iniciou em 2014, somente para melhores alunos das escolas públicas. “Esse aluno, quando tem oportunidade, faz a diferença”, disse. Essa foi mais uma etapa na capacitação dos estagiários dos municípios do Polo Baixo Amazonas, com sede em Santarém, com a participação de 23 estagiários dos municípios de Santarém, Terra Santa, Óbidos, Oriximiná, Almeirim,Juruti, Alenquer e Prainha. Luana Nascimento, que estagia no município de Prainha, gostou do conteúdo sobre os Direitos Fundamentais, e sobre o funcionamento dos Conselhos. “Já sou representante do Conselho na minha escola e isso vai melhorar meu trabalho”, afirma. Uma troca de experiências e informações foi feita pelos estagiários de nível Superior, que participam do programa Ministério Público e a Comunidade. Thais Mendes e Bruno Baía falaram da importância da participação ativa dos alunos no Conselho Escolar e do protagonismo juvenil. “Às vezes sabemos que a escola tem problemas, mas não sabemos como resolvê-los, e isso é possível por meio do Conselho”, disse Thais. Os estudantes foram capacitados com noções de “Direitos e Garantias Fundamentais”, Políticas Públicas e o funcionamento e importância dos Conselhos de Direitos. Receberam o Manual do Aluno Cidadão e a ficha de diagnose a ser preenchida por esses estagiários como demanda obrigatória do projeto. Devem ainda acompanhar reuniões do Conselho Escolar e elaborar uma redação na fase de conclusão do estágio. Demitido do cargo de zelador após revelar à Justiça as visitas de Lula e Marisa Letícia ao tríplex ligado ao casal, José Afonso Pinheiro resolveu disputar uma cadeira na Câmara de vereadores de Santos. Para não deixar dúvidas sobre quem ele é, escolheu como nome de candidato o seguinte: Afonso Zelador do Tríplex. Só faltou mais cuidado na hora de escolher o partido, uma vez que ele optou pelo bastante enrolado no petrolão PP. Santarem, Alta Floresta, Jacareacanga, Aveiro, Altamira left boats crowded with peasants, riverine, indigenous, quilombolas and activists, all towards Itaituba, which hosted last weekend the 2nd Caravan in Defense of Rio Tapajos. This time the meeting had reason to celebrate, with the filing of São Luiz do Tapajós plant by the Brazilian Environmental Institute (Ibama). But the moment was also preparing for new government projects that threaten the Tapajós basin, formed by the Teles Pires, Juruena, Jamanxim and other tributaries of second order. In almost all, there are dozens of construction projects of dams and ports. The work of the Caravan were opened with a minute of silence in tribute to the activist Nilce Magalhaes, the Nicinha, murdered in January this year in Rondônia. Fisherwoman, Nicinha fought the dams of Jirau and Santo Antonio in Madeira river and was missing for four months, until his body was found in the lake of the Jirau plant on 21 June last. The first to speak at the meeting was the general chief of Munduruku people, Arnaldo Kaba, who thanked the support of riverine and social movements in the region against the plant of São Luiz do Tapajós. "Only the Mundurukú could not stop the dam, but all together, barramos" he said. "The development for us is clean and protected forest water," said the chief. They attended the meeting invited the Xingu River, which is being built the hydroelectric plant of Belo Monte, a high environmental cost, particularly for indigenous and riverine hit brutally in their ways of life. Raimunda Gomes, fisherwoman and inhabitant of an island in the Xingu which was flooded by the lake of the plant, has had his house burned down by the company responsible for the removal of the residents. "Do not accept any money, not worth what it is worth is to stay in the little place of you. For us, life is not over, of course not. But it's a lot of fight to be able to live out of our environment. " 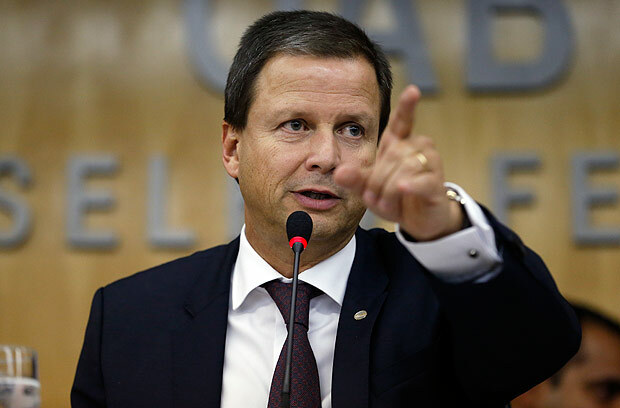 The husband of Raimunda, João Pereira da Silva, came to suffer a stroke within the Norte Energia office during one of unequal negotiations that was submitted during the removal process. Now, along with research institutions and civil society, the Federal Public Ministry (MPF) tries to find a solution to ensure the return of all bordering the Xingu to the reservoir area when the work of Belo Monte finish. The MPF also has a working group to monitor government projects in the Tapajós basin and attended the meeting in Itaituba with the presence of a prosecutor, Camões Boaventura and a regional prosecutor, Felicio Pontes Jr. "It's time to celebrate but this is no time to let down our guard, "said Pontes Jr. to address the audience. He recalled that in the tributaries of the basin are being built and planned dozens of dams. Only in the Teles Pires, chief trainer of the Tapajos, are four large dams already under construction. In the smaller rivers such as the Juruena, Arinos and the river fish, there are dozens of small and medium dams projects. "The project of São Luiz do Tapajós was filed by a conjunction of several factors," said Boaventura Camões, author of the recommendation to Ibama to shelve the licensing of the plant. "But we would not have this combination of factors is not for the resilience and denunciation of the people of this river, who never gave up to claim their constitutional rights and thus weakened the dam project," he said. 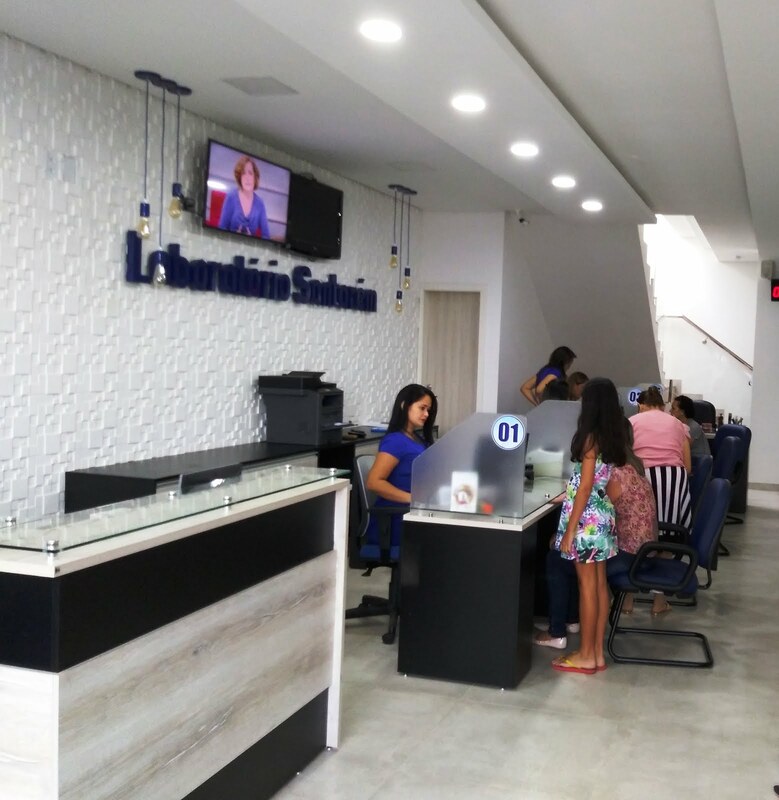 The MPF continues to follow all other dam projects in the Tapajós basin, with a team of attorneys who work in Santarém, Itaituba, Cuiabá, Sinop, Belém and Brasilia. The Rikbaktsa, Menki ethnicities, Kayabi and Apiaká, Mato Grosso, residents of the rivers Teles Pires, Juruena, Arinos, the Fish and Apiacás were also to Itaituba, get bowl peoples of support to tackle projects that already extensively violates constitutional rights in these rivers. "My people have three indigenous lands in three counties and each is planned a plant," said the lead Paulo Henrique Rikbaktsa. Thanking the presence of people of Mato Grosso, Ademir Kaba, teacher Mundurukú, he said that indigenous peoples today beg a piece of land that was all of them. "I'm not proud of being Brazilian, because Brazil, the Brazilian government does not respect the rights of indigenous peoples. We are here united with one goal, which is to keep our life as a people, as usual, as a religion, because it depended on the government, had already finished the indigenous people, "he said. "I am the daughter of Mangabal Mountain, I'm proud to be riverfront. This river is my life. I used to fish, lemon, pepper and flour mush. I garden and I use the land. So we do not want hydroelectric no way, "said Tereza Lobo, community resident in the upper Tapajós that would be affected both by the plant of São Luiz do Tapajós as the second dam project on the river, the Jatoba, which has not yet been filed by government. Professor Alfredo Wagner de Almeida, of the Federal University of Amazonas, showed some of the serious flaws in the impact studies of São Luiz do Tapajós, which are among the reasons for project archiving. With its New Social Cartography project, Alfredo prepares maps together with the communities and in the case of Pimental community, which would be the site of the São Luiz dam, the map presented by the companies study title omitted all information about locations and residents that could be passed by the people. 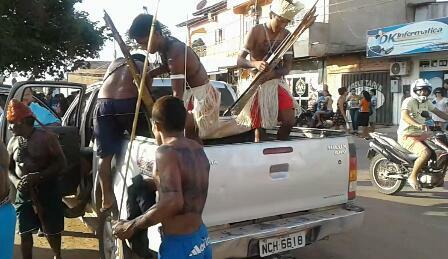 "People will map and are not able to list the places where the wealth of communities, açai, the fishing spots. Communities have far greater powers than the consulting firms that receive millions to map the locations, "explained Alfredo Wagner. Guilherme Carvalho, Phase (Federation of Organizations for Social and Educational Assistance), recalled that projects such as hydroelectric, when installing, make impossible any other activity in the region and remove territories and hand the autonomy of communities living centenariamente in the Amazon region. For professor at the Federal University of Pará Edna Castro is fundamental respect for the memory and the lives of several generations living in the Amazon region. She recalled the fight against Tucuruí plant, as an example that can not be forgotten that after the implementation of a large state-owned development project, processes of violence and resistance remain for decades. De Santarém, Alta Floresta, Jacareacanga, Aveiro, Altamira partiram barcos lotados com camponeses, ribeirinhos, indígenas, quilombolas e ativistas, todos rumo a Itaituba, que sediou no último fim de semana a 2ª Caravana em Defesa do Rio Tapajós. Dessa vez a reunião tinha motivos para festejar, com o arquivamento da usina São Luiz do Tapajós pelo Instituto Brasileiro de Meio Ambiente (Ibama). Mas o momento também foi de preparação para novos projetos governamentais que ameaçam a bacia do Tapajós, formada pelo Teles Pires, Juruena, Jamanxim e outros tributários de segunda ordem. Em quase todos, existem dezenas de projetos de construção de hidrelétricas e portos. Os trabalhos da Caravana foram abertos com um minuto de silêncio, em homenagem à ativista Nilce Magalhães, a Nicinha, assassinada em janeiro desse ano em Rondônia. Pescadora, Nicinha lutou contra as barragens de Jirau e Santo Antônio no rio Madeira e ficou desaparecida por quatro meses, até que seu corpo foi encontrado dentro do lago da usina de Jirau, no dia 21 de junho passado. O primeiro a falar no encontro foi o cacique geral do povo Munduruku, Arnaldo Kaba, que agradeceu o apoio de ribeirinhos e movimentos sociais da região contra a usina de São Luiz do Tapajós. “Só os Munduruku não conseguiriam barrar a barragem, mas todos juntos, barramos”, disse. “O desenvolvimento para nós é agua limpa e floresta protegida”, afirmou o cacique. 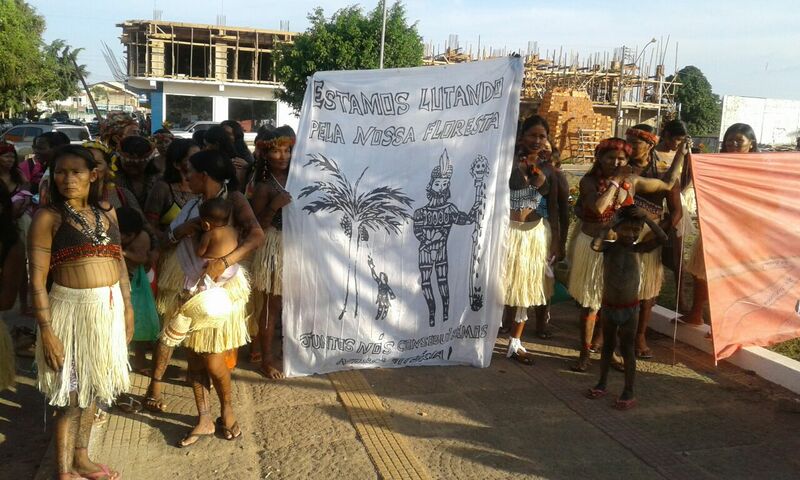 Estiveram presentes no encontro convidados do rio Xingu, onde está sendo construída a usina hidrelétrica de Belo Monte, a um custo socioambiental altíssimo, principalmente para ribeirinhos e indígenas atingidos de forma brutal em seus modos de vida. Raimunda Gomes, pescadora e habitante de uma ilha no Xingu que foi alagada pelo lago da usina, chegou a ter sua casa incendiada pela empresa responsável pela remoção dos moradores. “Não aceitem nenhum dinheiro, não vale a pena, o que vale a pena é permanecer no lugarzinho de vocês. Para nós, a vida não acabou, claro que não. Mas é muita peleja para se conseguir viver fora do nosso ambiente”. O marido de Raimunda, João Pereira da Silva, chegou a sofrer um derrame dentro do escritório da Norte Energia, durante uma das desiguais negociações a que foi submetido durante o processo de remoção. Agora, junto com instituições de pesquisa e entidades da sociedade civil, o Ministério Público Federal (MPF) tenta encontrar uma solução para garantir o retorno de todos os ribeirinhos do Xingu para a área do reservatório, quando a obra de Belo Monte terminar. 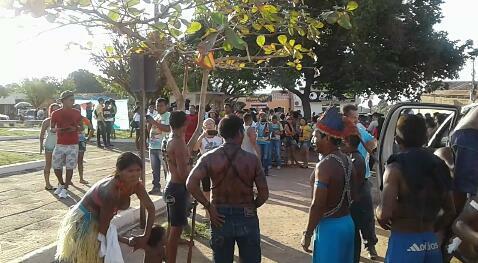 O MPF também tem um grupo de trabalho para acompanhar os projetos governamentais na bacia do Tapajós e participou do encontro em Itaituba com a presença de um procurador da República, Camões Boaventura e um procurador regional da República, Felício Pontes Jr. “É hora para festejar, mas não é hora para baixar a guarda”, disse Pontes Jr ao se dirigir à plateia. Ele lembrou que nos tributários da bacia estão sendo construídas e planejadas dezenas de barragens. Só no Teles Pires, principal formador do Tapajós, são quatro grandes barragens já em construção. Nos rios menores, como Juruena, Arinos e rio dos Peixes, existem dezenas de projetos de pequenas e médias barragens. “O projeto de São Luiz do Tapajós foi arquivado por uma conjunção de vários fatores”, avaliou Camões Boaventura, autor da recomendação ao Ibama para que arquivasse o licenciamento da usina. “Mas não teríamos chegado a essa conjunção de fatores se não fosse a capacidade de resistência e denúncia dos povos desse rio, que nunca desistiram de reivindicar seus direitos constitucionais e com isso enfraqueceram o projeto da barragem”, disse. O MPF continua acompanhando todos os outros projetos de barragens na bacia do Tapajós, com uma equipe de procuradores que atuam em Santarém, Itaituba, Cuiabá, Sinop, Belém e Brasília. As etnias Rikbaktsa, Menki, Kayabi e Apiaká, do Mato Grosso, moradores dos rios Teles Pires, Juruena, Arinos, dos Peixes e Apiacás também foram para Itaituba, pedir apoio dos povos da bacia para enfrentar os projetos que já violam extensamente direitos constitucionais nesses rios. “Meu povo tem três terras indígenas em três municípios e em cada uma delas está planejada uma usina”, disse a liderança Paulo Henrique Rikbaktsa. Agradecendo a presença dos povos do Mato Grosso, Ademir Kaba, professor Munduruku, disse que os povos indígenas hoje mendigam uma fatia da terra que era toda deles. “Eu não tenho orgulho de ser brasileiro, porque o Brasil, o governo brasileiro, não respeita os direitos dos povos indígenas. Estamos aqui unidos com um único objetivo, que é manter a nossa vida enquanto povo, enquanto costume, enquanto religião, porque, se dependesse do governo, já tinham acabado os povos indígenas”, disse. “Sou filha de Montanha Mangabal, tenho orgulho de ser ribeirinha. Esse rio é minha vida. Sou acostumada com peixe, limão, pimenta e pirão de farinha. Tenho horta e uso muito a terra. Por isso não queremos hidrelétrica de jeito nenhum”, disse Tereza Lobo, moradora da comunidade no alto Tapajós que seria afetada tanto pela usina de São Luiz do Tapajós quanto pelo segundo projeto de barragem no rio, o de Jatobá, que ainda não foi arquivado pelo governo. O professor Alfredo Wagner de Almeida, da Universidade Federal do Amazonas, mostrou algumas das graves falhas nos estudos de impacto de São Luiz do Tapajós, que estão entre os motivos para o arquivamento do projeto. Com seu projeto da Nova Cartografia Social, Alfredo elabora mapas em conjunto com as comunidades e no caso da comunidade Pimental, que seria o local da barragem de São Luiz, o mapa apresentado pelas empresas a título de estudo omitiu todas as informações sobre localidades e moradores, que poderiam ser repassadas pelos próprios habitantes. “As pessoas vão mapear e não são capazes de listar os locais onde estão as riquezas das comunidades, os açaizais, os pontos de pesca. As comunidades têm competência bem maior do que as empresas de consultoria que recebem milhões para mapear os locais”, explicou Alfredo Wagner. Guilherme Carvalho, da Fase (Federação de Órgãos para Assistência Social e Educacional), lembrou que empreendimentos como hidrelétricas, quando se instalam, inviabilizam qualquer outra atividade na região e retiram territórios e autonomia da mão das comunidades que vivem centenariamente na região amazônica. Para a professora da Universidade Federal do Pará Edna Castro é fundamental o respeito à memória e à vida das várias gerações que vivem no espaço amazônico. Ela lembrou a luta contra a usina de Tucuruí, como um exemplo que não pode ser esquecido, de que após a implantação de um grande projeto estatal de desenvolvimento, processos de violência e resistência permanecem por décadas. Elton Pereira foi assassinado no dia 13/08, dentro da sua residência, no bairro de Fátima. Elton Pereira tinha 33 anos. A Polícia Civil conseguiu identificar três menores acusados de participação no latrocínio do qual foi vítima o professor de educação física, Elton Pereira Imbiriba. 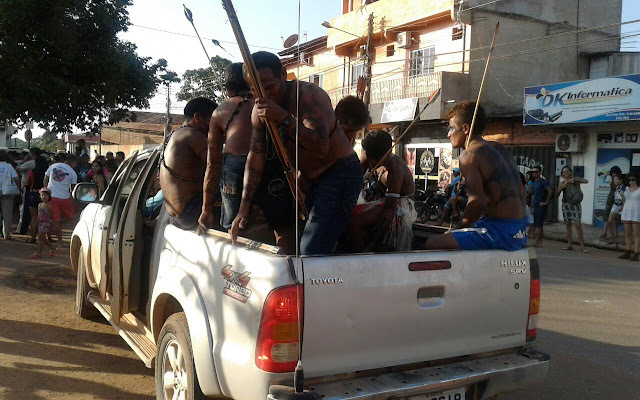 Uma operação foi comandada pela a equipe da Divisão de Homicídios da 16ª Seccional de Polícia Civil de Santarém, ontem, terça-feira (30), após a polícia obter informações sobre a localização do grupo. Além dos menores, também foram conduzidos para a delegacia, pelo menos três pessoas acusadas de comprarem ou estarem de posse de objetos roubados da casa do educador. Os acusados não ficaram apreendidos, foram ouvidos em depoimento que fará parte do inquérito policial aberto para apurar o crime. Com inquérito concluído, a polícia encaminhará o mesmo à Justiça, que determinará sobre o internação dos acusados na Fasepa. O crime que tirou a vida do professor de educação física, Elton Pereira Imbiriba, 33 anos, aconteceu no sábado (13). O profissional da educação foi morto a golpes de faca, dentro da sua própria residência, localizada na Rua Silvério Sirotheau, bairro de Fátima. De acordo com informações, um amigo da vítima foi até a casa do professor, após ter realizado várias ligações que não foram atendidas. Chegando ao local, por volta de 14h, ao adentrar na residência encontrou o corpo da vítima. Ano que vem, a Justiça voltará a discutir a possibilidade de mudar para regime aberto as condições carcerárias de Suzane von Richthofen, presa em 2002 pelo planejamento e assassinato de seus pais, Manfred e Marísia von Richthofen. Condenada a 39 anos de prisão, ela conquistou o direito ao regime semiaberto em 2014 por acrescentar boa conduta carcerária. O bom comportamento de Suzane na prisão já arrancou até elogios do promotor responsável pelo acompanhamento de sua pena, Paulo José da Palma, que disse que a jovem “foi elogiada em todas as prisões por que passou”. Porém, essa opinião não é unânime. Segundo a revista Veja, pessoas que conviveram com ela nas celas e até mesmo à frente do caso, relataram que Suzane é manipuladora e muda o tom de voz de acordo com os seus interesses.Ela inclusive passou por um teste psicológico que concluiu que ela é dotada de “egocentrismo elevado” e “agressividade camuflada". A conclusão é semelhante ao que diz, por exemplo, com o que diz um agente penitenciário que trabalha há dez anos em Tremembé, onde Suzane cumpre pena. “Fala com as detentas de um jeito e faz voz de menininha quando está na frente de um carcereiro ou de alguém de quem ela quer alguma coisa", relatou. Em 2014, Suzane assumiu um relacionamento amoroso com uma mulher, Sandra Ruiz, comhecida como Sandrão, famosa por sua força física e disposição de violar as regras da prisão. Ela também concluiu que Suzane aproveitou a oportunidade para ser protegida e respeitada na cadeia.“A Su é um enigma. Nunca se sabe o que está sentindo de verdade”, disse Sandrão. “Digo só que ela desgraçou a minha vida", desabafou. Em 2009,o promotor Eliseu José Gonçalves, da Vara do Júri e de Execuções Penais de Ribeirão Preto, foi maus uma vítima de Suzane. Ela relatou a uma juíza que ele havia mandado buscá-la duas vezes para tratar de assuntos penitenciários e que em uma das situações, ele a cumprimentou com beijos no rosto. A denúncia de assédio foi parar na Corregedoria. Gonçalves, que acabou punido com suspensão de 22 dias, garantiu que foi a jovem quem se insinuou para ele. “Prefiro ouvir falar do diabo mas não quero ouvir o nome dessa moça”, afirmou. O promotor Luiz Marcelo Negrini, que cuidava da execução da pena de Suzane quando ela estava no regime fechado, diz que a “capacidade de manipulação” é um traço marcante da detenta. “Isso fica evidente nas relações pessoais que cria. Uma hora ela é homossexual, outra hora assume o papel de hétero. E assim vai se envolvendo com as pessoas e descart­ando-as, de acordo com o que lhe convém", concluiu. Sua pena termina em abril de 2040. Caso a justiça conceda a mudança para regime aberto, Suzane planeja casamento, filhos e trabalho. Ela já declarou que pretende levar uma vida anônima. Casal de jornalistas anunciou o fim do casamento no Twitter. ‘Continuamos amigos e admiradores do trabalho um do outro’, escreveram os jornalistas Wiliam Bonner e Fátima Bernardes anunciaram na noite da segunda-feira que estão se separando, após 26 anos de casamento. Em uma série de mensagens idênticas publicadas nos perfis de ambos no Twitter, eles afirmam que continuam “amigos, admiradores do trabalho um do outro e pais orgulhosos de três jovens incríveis”. As inscrições para o 29º Concurso Público para Procurador da República começam nesta terça-feira, 30 de agosto, e seguem até 28 de setembro. O prazo foi definido pelo edital PGR/MPF nº 14/2016, publicado no Diário Oficial da União desta segunda-feira, 29 de agosto. Para o Pará há quatro vagas disponíveis, nas unidades do Ministério Público Federal (MPF) para os seguintes municípios: Belém, Itaituba, Marabá e Tucuruí. No entanto, o número e a localização das vagas podem mudar, a depender, por exemplo, de eventuais nomeações de candidatos aprovados em concursos anteriores e do resultado do concurso de remoção entre procuradores da República em exercício. No Pará, a inscrição preliminar poderá ser realizada nas unidades do MPF em Altamira, Belém, Marabá, Paragominas, Redenção, Santarém ou Tucuruí (endereços em http://www.mpf.mp.br/pa) das 12h às 18h. Os documentos referentes às inscrição deverão ser entregues nessas unidades do MPF. Antes disso, o candidato deve fazer sua pré-inscrição pela internet, no endereço http://www.mpf.mp.br/concursos/concursos/procuradores, e pagar taxa de R$ 250. Pedidos de isenção devem ser formulados até 15 dias antes do término das inscrições. Nesse caso, o candidato deve comprovar que não possui condições para arcar com o valor, apresentando, inclusive, a inscrição no Cadastro Único para Programas Sociais do Governo Federal (CadÚnico). Oportunidades – No país todo a seleção oferece um total de 82 vagas para o cargo, sendo 10% do total reservado às pessoas com deficiência. O subsídio inicial é de R$ 28.947,55. Informações – As divulgações referentes ao concurso serão feitas no Diário Oficial da União e no endereço eletrônico www.mpf.mp.br/concursos/concursos/procuradores/. Escolas dos Municípios de Alenquer, Belterra, Itaituba e Santarém participam do 10º Festival de Bandas e Fanfarras de Santarém. Ao todo, 24 instituições formalizaram inscrição, duas a mais que no ano passado. O festival acontece nos dias 8 e 9 de setembro, na orla de Santarém, encerrando a programação oficial da Semana da Pátria, com disputa nas categorias Fanfarra Simples, Fanfarra com Melodia e Banda Marcial. Até esta quarta-feira (31), as bandas devem entregar os históricos e a lista com o número de competentes, na SEMJEL. A exemplo de 2015, a premiação total para o festival é de R$ 27 mil, em créditos, divididos entre os três primeiros colocados de cada categoria. Escola Onésima Pereira de Barros – Santarém. O evento discutirá o tema “Pesquisa e Educação na Amazônia”. A Universidade Federal do Oeste do Pará (Ufopa) realiza, no período de 29 de agosto a 2 de setembro de 2016, no Campus de Santarém, a V Jornada Acadêmica e VI Seminário de Iniciação Científica, que visam a promover o intercâmbio científico e cultural da comunidade acadêmica, através de debates e atividades relacionadas à graduação e à iniciação científica. Aberto à comunidade acadêmica, o evento começa nesta segunda-feira, 29 de agosto, a partir das 18 horas, com conferência de abertura intitulada “Pesquisa e Educação na Amazônia”, a ser proferida pelo professor José Roberto Rus Perez, da Universidade de Brasília (UnB). A conferência será realizada no Auditório da Unidade Tapajós, situada no bairro do Salé, e contará com a mediação do diretor de Pesquisa da Ufopa, Antonio Humberto Minervino. 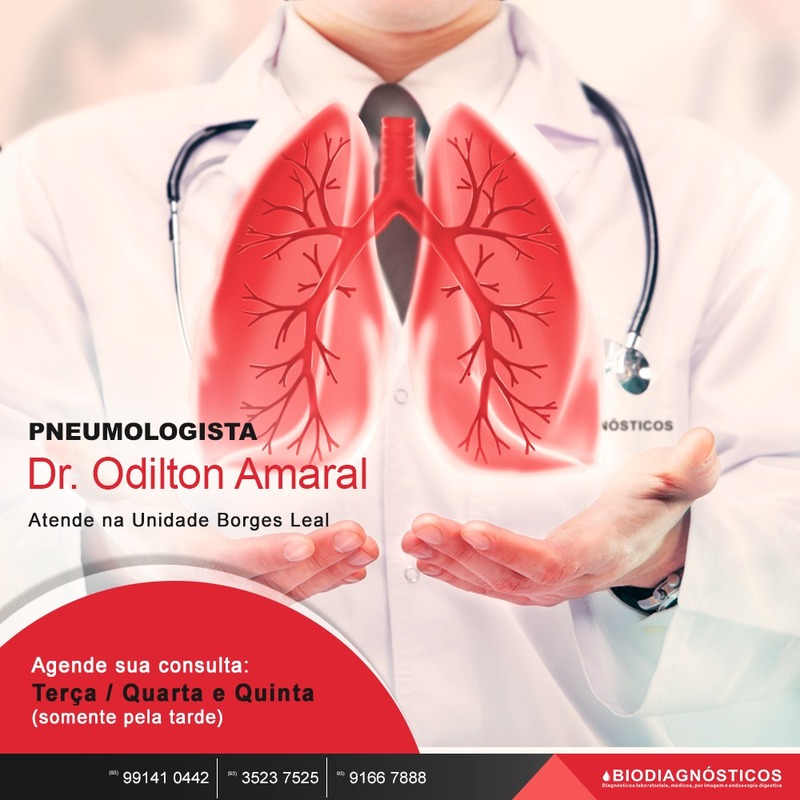 Na terça-feira, 30, a partir das 15 horas, haverá a apresentação, no formato de banners, de pesquisas produzidas pelos alunos de graduação da Ufopa. 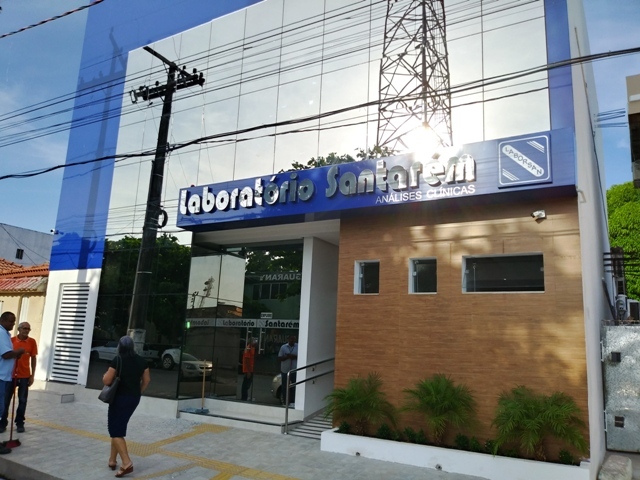 No Auditório da Unidade Rondon, situado no bairro do Caranazal, ocorrerão as apresentações das áreas de Ciências Humanas; Linguística, Letras e Artes; Ciências Sociais Aplicadas; e Ciências Exatas e da Terra. Já no Auditório Pérola, anexo à Unidade Amazônia (Av. Mendonça Furtado), se reunirão as áreas de Engenharias, Ciências Biológicas, Ciências Agrárias e Ciências da Saúde. 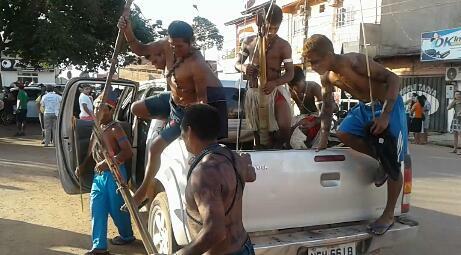 Na cidade de Itaituba índios da etnia munduruku da região invadiram a cidade em manifesto contrario a construção de usinas hidrelétricas no alto tapajós. Informações repassadas por nossas fontes do local no exato momento da situação dão conta de que os indígenas chegaram em uma praça da cidade denominada de "Praça do Cidadão" onde se iniciou a manifestação. A Policia Militar esteve nos local , os manifestantes saíram em passeata desde Avenida João Pessoa até a Orla da cidade aonde ainda permanecem com a manifestação. Como não poderia deixar de ser e como infelizmente já é de praxe, começam as sessões de bajulação pra cima dos eleitores. Em meio a tantos apertos de mãos, abraços de tamanduá e sorriso de jacaré, o povo espera que os novos eleitos, seja prefeito e vereadores, seja quem seja, pelo menos dêem toda essa atenção que agora é dispensada aos povo, em época de campanha, depois de eleitos contine. Não esqueçam que o povo é que os colocou onde estão, que seus assessores lembrem da importância que tem o eleitor. Se assim, for depois das ressaca das eleições, todo mundo vai ficar feliz. Agora, se for como de costume, quando os assessores tem rei na barriga, o eleito esquece de quem votou nele, então nada mudou. Aliás que dentre os concursados da Câmara, tem uma assessora de imprensa que deve de imediato saber que trabalha na casa do povo e que deve calçar as sandálias da humildade. Isso é fato!!! Morreu em Santarém, o empresário Francisco Coimbra Lobato. 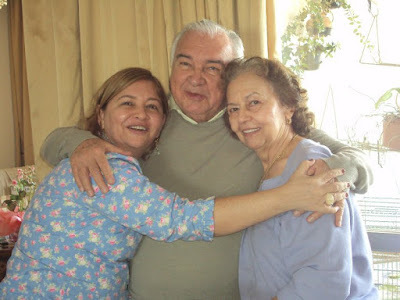 Transmito aos seus familiares as minhas condolências. O corpo do Francisco está sendo velado na Igreja do Santíssimo onde, segunda feira (29), será rezada missa de corpo presente às 16h. Francisco tinha 80 anos e foi um grande apoiador de projetos sociais, entre eles, a Associação Assistencial ao Estudante Universitário do Médio Amazonas (Asseuma), que ele fundou e manteve por muitos anos, em Belém, com recursos próprios. A iniciativa ajudou na formação profissional de mais de 700 jovens que saíram de Santarém para estudar o ensino superior na capital do Estado. 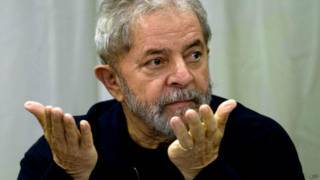 "Eu não fiz nada disso, eu não sei de nada..."
A Receita Federal decidiu suspender a isenção tributária do Instituto Lula do período de 2011 a 2014 por "desvios de finalidade" e cobrar imposto de renda e contribuições sociais, além de multa milionária. O fisco encerrou a investigação aberta em dezembro do ano passado sobre a entidade, fundada em 2011 pelo ex-presidente Luiz Inácio Lula da Silva. Um comunicado será enviado ao instituto nesta semana informando das cobranças. A conta final está sendo fechada, mas deve ficar entre R$ 8 milhões e R$ 12 milhões. 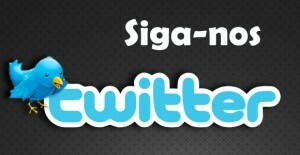 A investigação sigilosa considerou as declarações entregues pelo instituto à Receita Federal. A principal irregularidade identificada foi o repasse de R$ 1,3 milhão para a empresa G4 Entretenimento, que pertence ao filho do ex-presidente Fábio Luís e a Fernando Bittar, dono do sítio de Atibaia investigado por ter sido frequentado por Lula. Para os técnicos, houve simulação de prestação de serviço pela G4, como forma de mascarar a transferência de recursos da entidade para o ex-presidente ou parentes, configurando o desvio de funcionalidade. Os auditores apontam também pagamentos sem destinatários e o aluguel de um imóvel apontado como sede, mas que era diferente do endereço do instituto, criado em 2011 em substituição ao antigo Instituto da Cidadania, também ligado ao petista. No mesmo período auditado, a entidade recebeu quase R$ 35 milhões em doações, a maior parte de empreiteiras envolvidas na Operação Lava Jato, como Odebrecht e Camargo Corrêa. O fisco questionou a origem desses recursos, como o dinheiro foi gasto e se as contribuições foram declaradas. A suspeita era a de que o instituto tenha sido usado para lavar dinheiro do esquema de corrupção na Petrobras. Essa investigação está sendo conduzida pela Polícia Federal. A Receita se limitou aos aspectos contábeis das irregularidades. Os auditores pediram, por exemplo, explicações ao presidente do instituto, Paulo Okamotto, do motivo que teria levado grandes construtoras a doarem ao menos R$ 18 milhões. Além disso, contestaram doações de duas entidades sem fins lucrativos que, juntas, destinaram R$ 1,5 milhão ao instituto entre 2013 e 2014. Diante desses elementos, a Receita concluiu que houve desvio de finalidade. Inicialmente, chegou a avaliar uma cobrança de até R$ 22 milhões em cima de um critério extremo que configuraria má-fé por parte da entidade. Esse valor seria calculado sobre todos os recursos recebidos, ignorando as despesas declaradas à Receita. No entanto, decidiu-se que a conta a ser cobrada, entre R$ 8 milhões e R$ 12 milhões, vai considerar os balanços. A decisão da Receita não cancela a isenção fiscal do instituto para depois de 2014, a não ser que novos indícios de irregularidades sejam identificados a partir do ano-base de 2015. Palestras - A investigação da Receita não contemplou a empresa de palestras do ex-presidente, a LILS Palestras e Eventos. Entre 2011 e 2015, o ex-presidente deu 70 palestras pagas por 41 empresas e instituições. Segundo investigação da Operação Lava Jato, a LILS Palestras recebeu R$ 21 milhões no período, sendo R$ 9,9 milhões de empreiteiras investigadas. O presidente nacional da OAB, Claudio Lamachia, que representa quase mil advogados, classifica de “desserviço” a tese de Dilma Rousseff e aliados de que o impeachment é um golpe. 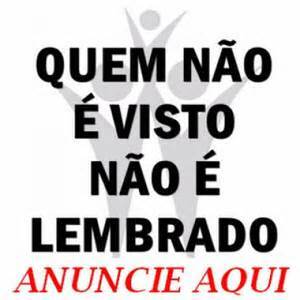 “O STF regrou o processo. É absolutamente democrático”. Ele revela que, para a Ordem, tomar a iniciativa de pedir a cassação da petista foi mais difícil do que na época do Collor, quando havia consenso. Porém, definida a posição, “em nenhum momento se pensou em retroceder.” Desta vez, o protagonismo foi menor, diz, porque se optou por não entrar no debate ideológico. Como se não bastassem as humilhações que os estudantes passam nas filas, todas às vezes que são obrigados a renovar as carteirinhas com o vale de meia-passagem, agora aparece mais esse entrave; que de tão grave levou o Sindicato das Empresas de Transporte de Passageiros de Santarém (Setrans) a se tornar mais uma vez alvo de denúncia junto ao Ministério Público Estadual por desrespeito à classe dos estudantes. Desta feita, trata-se do bloqueio que foi imposto às carteiras estudantis, pelo referido Sindicato. Pior de tudo, sem qualquer explicação plausível. Segundo uma das denunciantes, Sônia Maria Araújo, que registrou queixa junto ao MPE, os estudantes estão passando por constrangimento. ”Nós só tomamos conhecimento das carteiras bloqueadas quando mostramos o documento ao passar pelas catracas dos ônibus”, citou Sônia Araújo. SEM EXPLICAÇÂO: Apear de reconhecerem o erro, os funcionários do Setrans, misteriosamente, agem com sigilo absoluto, pois não dão nenhuma explicação sobre os motivos que estão levando a entidade a tomar essa medida que está causando prejuízos para quem precisa usar a carteirinha de estudante, que é garantida pela lei. E ainda no assunto, muitos estudantes denunciaram à nossa equipe de reportagem que os funcionários do Setrans são completamente despreparados para atender o público e tratam mal as pessoas que procuram aquele local. Caso não seja dada nenhuma explicação para esta grave denúncia, a intervenção do MPE pode surgir como única alternativa, usada como arma de defesa dos estudantes contra o que eles consideram péssimo atendimento do Setrans, sem contar com o agravante do impedimento em usar as carteirinhas de meia-passagem, um direito assegurado aos estudantes, através da Constituição Federal. ATENÇÃO FALAR BONITINHO NADA RESOLVE - Não se deixe enganar pela propaganda eleitoral. É a sua vida que está em jogo. O que está em jogo, nestas eleições, é a maneira como você vai viver nos próximos 4 anos. É se a rua onde você mora estará limpa e arrumadinha, ou tomada por lixo, lama e buracos. É se o pronto socorro ou posto de saúde do qual você precisa, quando fica doente, atenderá as pessoas de forma humana. Ou se ele estará é cheio de gente deitada em maca, ou até no chão. Criança, mulher, velho morrendo, por falta de atendimento. 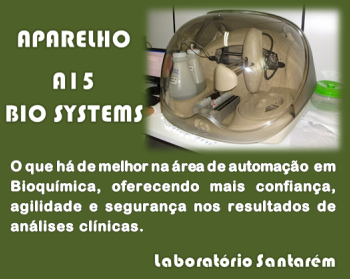 Porque não tem médico, não tem equipamento. Não tem, às vezes, nem mesmo um comprimido, pra aliviar a dor. O que está em jogo é se a escola onde o seu filhinho estuda, ou a creche onde ele fica, pra você poder trabalhar, estará em boas condições: limpinha, ajeitadinha, com professores, brinquedos, materiais. Ou se ela estará é quase desabando na cabeça do seu filho. O que está em jogo é se você vai continuar numa aflição danada, toda vez que chover. Porque a sua casa vai alagar e você pode perder tudo o que conseguiu, numa vida inteira de trabalho. Por incrível que pareça, é até a sua segurança e de seus filhos que está em jogo, nestas eleições. É verdade que quem manda na polícia é o governador – não é o prefeito, não. Mas o prefeito pode muito bem chegar com o governador e dizer: “olhe aqui, governador, tem gente sendo assaltada e morrendo, todo santo dia, na minha cidade. E se o senhor não fizer nada, pra acabar com essa violência, eu vou juntar os vereadores e a população e a gente vai lhe denunciar na imprensa e no Ministério Público. E aí, nas próximas eleições, o seu candidato não vai ter nenhum voto, na minha cidade”. Além disso, o prefeito pode investir na guarda municipal, em câmeras de segurança, iluminação de ruas, programas de geração de renda e de prevenção do uso de drogas. Ou seja, pode fazer um bocado de coisas, pra que você não precise mais viver trancado em casa, como se você é que fosse o criminoso. A gente é que não para pra pensar no poder do prefeito e dos vereadores. A gente pensa que só quem manda é o presidente da República e os governadores. Mas, na verdade, o prefeito e os vereadores é que são os responsáveis diretos pela qualidade de vida da nossa cidade. Se eles forem incompetentes, desonestos e só viverem é preocupados com o próprio partido ou reeleição, então, tenha certeza: a vida da nossa cidade será uma desgraceira só! Por isso, pense muito bem em quem você vai votar, nestas eleições. Não se deixe enganar pela propaganda eleitoral, onde tudo é lindo e maravilhoso. Pegue a sua bicicleta e vá ver se o abandono da sua rua e do seu bairro não é igualzinho ao do bairro que fica do outro lado da cidade. Converse com aquele amigo, que precisou recentemente do posto de saúde ou do pronto socorro. Veja por você mesmo se o prefeito e os vereadores trabalharam de verdade, ou se tão querendo é lhe enrolar, novamente, com propaganda enganosa. Quatro anos é muito tempo, dá pra fazer muita coisa. O prefeito e os vereadores cumpriram o que prometeram, ou tá tudo igual ou pior? Então, vote consciente e nem pense em vender o seu voto, nem que seja pela promessa de uma casa ou de um emprego adubado. Essa é uma escolha que você não pode errar. Porque dela depende a sua vida e a vida dos seus filhos. O vereador Dayan Serique (PPS) afirmou e teceu criticas, na tribuna do Poder Legislativo de Santarém, que a falta d’água em Santarém, tem um nome: Simão Jatene. Segundo o vereador, cabe ao governador determinar à Cosanpa fazer investimentos em Santarém. Lamenta que isso não tenha surtido efeito. Dayan ironiza dizendo que a Cosanpa em Santarém arrecada mensalmente cerca de R$ 1 milhão e somente R$ 7 mil reais são destinados ao escritório local, para que possa administrar toda a gama de demandas em Santarém e na região. O vereador lamenta a falta de critério do governador do Estado. Ele entende que Santarém merece melhor respeito e acrescenta que a população não se nega a pagar pelo consumo, mas quer água em suas casas. “Volto a atribuir culpas ao governador do Estado do Pará, porque não determina que Santarém tenha um atendimento melhor. Cobramos veementemente na tribuna, para que o governador olhe com carinho a população de Santarém, que está sem água”. Vereador recebe diretoria do bairro Jardim Santarém e fala sobre obras no bairro. Moradores do bairro Jardim Santarém, estão cobrando conclusão de obras públicas. Essa preocupação foi colocada ao vereador Valdir Matias Junior (PV), que esteve reunido com os comunitários. Vereador Matias Junior disse que esteve conversando com a diretoria do bairro e esta se mostrou preocupada com as obras de infraestrutura, como drenagem, saneamento e asfaltamento que o bairro está recebendo. “Eles pediram agilidade nessas obras e que elas sejam concluídas o mais rápido possível”, alerta. Segundo o líder do PV, Matias Junior, é preciso um acompanhamento junto ao Núcleo de Gerenciamento de Obras Especiais – NGO, sobre os recursos repassados a partir do Governo Federal, para que essas obras sejam concluídas o mais rapidamente possível, já que segundo o vereador, estão causando alguns transtornos no ir e vir. Reafirma o vereador que junto com a direção do bairro, vai continuar acompanhando junto ao NGO, para que com as obras concluídas, possam dar melhor condição de vida da população. “Na reunião com o NGO, vai puxar esse cronograma de conclusão das obras”, estimula. – Muitas são as reclamações dos proprietários de veículos com as mudanças implementadas pela Secretaria Municipal de Trânsito nos sentidos das ruas que são paralelas entre à Curuá-Una e a Barão do Rio Branco. As mudanças obrigam a quem vem pela Curuá-Una para o Centro, ter que ir até a Barão, pois as demais (Turiano e 15 de Agosto, com exceção da Dom Amando), não permitem a trafegabilidade no sentido Centro. Ou seja, ao invés de melhorar, piorou! – É um Deus nos acuda você conseguir a liberação de qualquer documento junto á Prefeitura de Santarém e necessário para as atividades que desenvolvem os particulares, seja como corretor; seja na liberação de Alvará de construção; seja na obtenção de certidão; seja até mesmo, nas impugnações de lançamentos tributários. Há uma revolta geral pelos entraves criados na atual administração do Prefeito Alexandre Von, onde tudo se complica, e muitas das vezes se exigem atitudes e até pagamento total daquilo que está sendo parcelado, sem o que emperra a documentação que você precisa ter em mãos. A cabeça pensante de tantos atos burocráticos de quem os implantou vai à linha contrária das atividades do dia-a-dia e é o inverso do que praticam as Prefeituras das grandes cidades. A representante da empresa Individual Maria Solange de Carvalho – CNPJ nº 18.548.862/0001-19 e SEFA nº 15.417.954-0, ingressou com representação junto a SEFA informando que um indivíduo comprou na razão social de sua empresa uma grande quantidade de mercadoria e o processo foi arquivado, não demonstrando as autoridades nenhum interesse em apurar a situação; presume-se porque a empresa é de pequeno porte. O arquivamento é ilegal, já que promove enriquecimento ilícito de terceiros em detrimento a outrem. Com esse procedimento irregular os empresários devem comprar em nome de outras empresas, já que nada acontece com quem compra na razão social de terceiros. Com descaso da SEFA, a representante da empresa, através de sua advogada, ingressou na justiça para saber do Coordenador o motivo de ter arquivado e protegido o empresário que comprou milhões de reais em sua empresa. O Fisco usa duas medidas e dois pesos. Isso demonstra que sua administração não é igual para todos. Ou seja, alguns possuem privilégios. O Estado está tocando o terror em todos os segmentos. Não temos a quem recorrer. É empresario sendo perseguido, é cidadao comum sendo perseguido, é professor tendo seus direitos ignorados e nao pagos, é porrada de todo lado. Já cheeega. Comprar milhões no nome de outrem e nao sofrer nenhuma consequencia é um absurdo. Como pode a Sefa ser omissa numa denuncia dessas? e ficar tocando o terror em quem está tentando fazer tudo direitinho apesar dos pesares? Seu Birinha merece o respeito dos cidadãos santarenos. Preside com maestreza a subseção de Santarém. Sempre comprometido com as causas de relevancia para o nosso povo. Me respeita! Eu sou o dono desse lugar! Onde vamos parar com toda essa perseguição? A Sefa daqui a pouco ja vai estar mandando cartinhas pra gente no mes subsequente ao recolhimento. Somos empresários, nao somos bandidos. Merecemos respeito. A perseguição tributária continua no Oeste do Pará. Pior para pequenas empresas enquadradas no Simples, que são obrigadas a pagar imposto pela apreensão de mercadoria. As empresas são coagidas a recolher imposto, quando o Fisco realiza apreensão e só libera se o empresário recolher o imposto. O mais absurdo é quando o Fisco elege a transportadora como fiel depositária e não as empresas responsáveis pelas mercadorias, já que são elas que pagam os fornecedores e sofrem prejuízos com apreensão indevida. Como forma de pressão, o Fisco passa a responsabilidade para as transportadoras auferirem vantagem com o armazenamento, com apoio do Secretário da Fazenda e demais autoridades, que fecham os olhos diante de tamanha arbitrariedade. O Fisco do Estado no atual governo trata os empresários com dois pesos e duas medidas – ou “duas caras”, os empresários são sacrificados, perseguidos e humilhados, com procedimentos arbitrários do secretário Nilo. Alguns auditores, às vezes extrapolam suas funções pressionando os empresários. É uma vergonha a pressão que os empresários sofrem. A burocracia excessiva, perseguição fiscal, apreensão de mercadorias, indicação da transportadora como fiel depositária, pressão psicológica para recolher o imposto indevidamente e outras humilhações que submetem os empresários pelas ordens do Secretário. Os empresários devem denunciar na Assembléia Legislativa, através do deputado Eraldo Pimenta, que já demonstrou interesse em defender os empresários das arbitrariedades e pressão para recolher ICMS. O Ministério Público Eleitoral deve ficar de olho no prefeito Alexandre Von. Passou mais de 3 anos sem visitar o povo como Prefeito, agora como candidato só vive nas ruas. Agora em época de campanha as máquinas da Prefeitura não param de trabalhar. É trabalho em prol da sociedade ou para conseguir voto? O prefeito Von fala bonito, deve ganhar todos os debates, porém, não gosta de trabalhar, já provou isso nesses quase 4 anos. Sabendo que não vem mais para a reeleição, a situação vai piorar ainda mais. Falar bonito é sinal de lero-lero, trabalho que é bom, neca-neca. Fiquei sabendo que o Procurador do Município, Dr. José Maria Lima, se manifestou contra o resultado da pesquisa publicada no Jornal O Impacto. Dr. José Maria, se o senhor acha que houve fraude, ingresse na Justiça. Como competente advogado não misture questões técnicas com política, pois qualquer empresa com qualquer tipo de atividade pode mandar fazer pesquisa. Fraude foi o que ocorreu no plebiscito de Mojuí dos Campos, aquilo sim que houve até condenação e um acordo, lembra Dr. José Maria? A justiça homologou a pesquisa, ela está errada Dr. José Maria? Sei do seu amor pelo serviço público; é medo de perder esse emprego? Sei do que ocorreu no plebiscito de Mojuí dos Campos. Então, não tire uma de neófito, já tem experiência como advogado, qualquer empresa pode encomendar pesquisa. Uma lava jato pode acontecer na Prefeitura a exemplo do plebiscito de Mojuí dos Campos. Dr. José Maria, a Justiça é o meio legal para decidir o certo ou o errado. Dr. José Maria, é desespero? Ou é amor demais no serviço público? 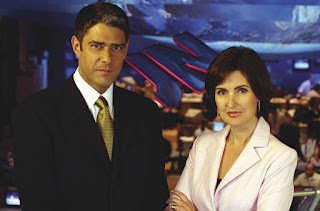 O Jornal O Impacto sempre encomendou pesquisa e todas deram certo. Em todas as pesquisas divulgadas, o candidato ganhou. Até do seu Prefeito, lembra Dr. José Maria? Esqueceu o amor que o senhor tinha pelo ex-prefeito Lira Maia? Ou o senhor só fica ao lado de quem está no poder? Dr. José Maria Lima, a pesquisa foi registrada na Justiça Eleitoral, será que o senhor tem mais conhecimento do que a autoridade judicial? Será que o senhor tem poder de mando? Perguntar não ofende Dr. José Maria, analise a situação tecnicamente e não politicamente, é feio como advogado o senhor se expressar por amor ao emprego. José Maria quer mais quatro anos de moleza… deveria se envergonhar desse governo que só levou Santarém ao caos. Pior do que já estava. 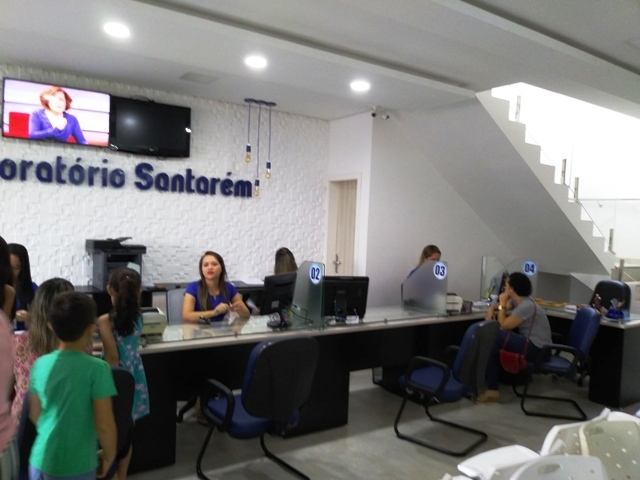 As famosas “obras eleitoreiras”… nesse período veremos o pessoal que presta serviço pra prefeitura sendo escravizados pelas ruas de Santarem.